Laurel Anderson is a founding member of the School Garden Network. She worked as the garden teacher for 14 years at Salmon Creek School where she loved to cook up the harvest with students and look for interesting insects! She currently is the coordinator of SGN’s Schoolyard Habitat Program- providing professional development opportunities and helping schools design and use habitat projects as an extension of the classroom. 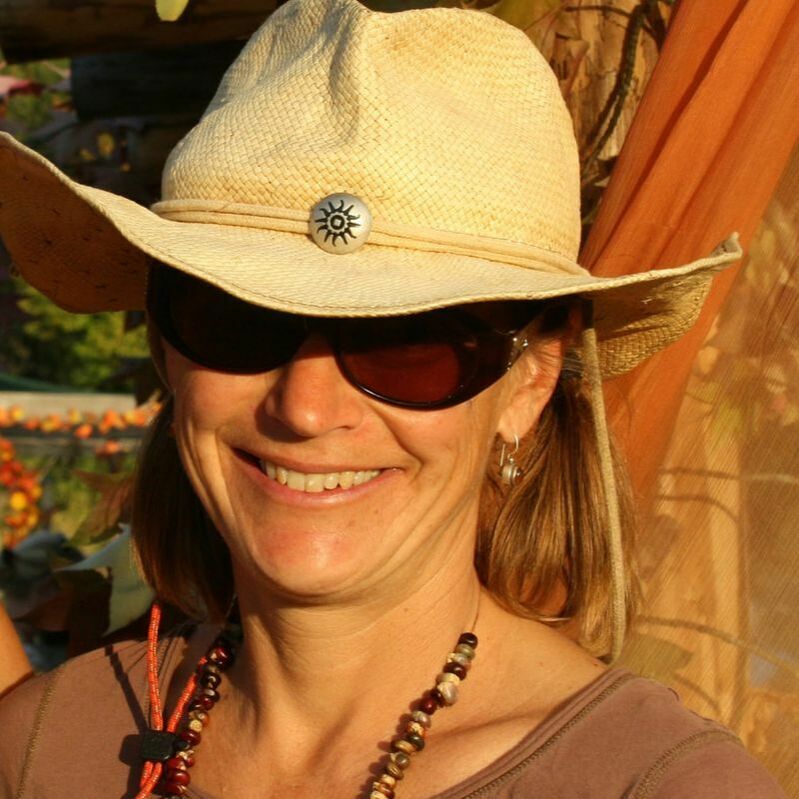 Laurel is also passionate about seedsaving and is very active with the Community Seed Exchange. Raised in West Sonoma County and deeply rooted in the community, Scotty attended Oak Grove elementary, Willowside Jr. High and El Molino High School growing up. A father of four, Scotty holds a certification in the Human Services field while serving on numerous boards in Sonoma County and beyond. His hope is to better be in service for the kids and land of our area and feels that joining the School Garden Network can help do that. ​Katherine believes in the power of growing beautiful gardens to sustain healthy kids, vibrant communities, and a resilient planet. She has taught children in Honduras and Utah’s canyon country, as well as adult learners in Slovenia and Arizona. As the Horticulturist for the Arboretum at Flagstaff in Arizona, she stewarded native plant conservation projects and helped others learn about and appreciate the region’s native and endemic plants. In the high elevation desert of the Colorado Plateau, Katherine mentored K-8 teachers from the Four Corners region of Arizona, Utah, Colorado, and New Mexico to provide professional development in hands-on, place-based education so that teachers would have greater support and resources to take their students outside. She holds a Master’s degree in Sustainable Communities with a focus on place-based and ecological education. Katherine currently manages the educational community farm for Petaluma Bounty and is thrilled to be calling Sonoma County her new home. Tina Poles has been teaching at Sonoma Country Day School since 2007 and is also the director of the sustainability and environmental science program. She currently the lower school science teacher and also runs the school garden. Before SCDS, Tina was the Director of School Gardens at Occidental Arts and Ecology Center. In that capacity, she was able to visit hundreds of school gardens around the state, and see best practices in a wide range of schools. Tina has a permiculture design certificate and completed a four year Waldorf teacher training program. As a 2010 fellow at the Leadership Institute for Ecology and Economy, Tina spent the year studying local food systems, energy and waste management, water uses, business practices, transportation and social justice. She was a 2017 fellow at the Center for Climate Protection Center. Tina has a number of publications about School Gardens, including a Handful of Seeds. Tina lives in a co-housing community in Cotati. She was a founding member, working on the development, design, legal, and marketing aspects of the project. ​Renee Whitlock-Hemsouvanh was born and raised in Sonoma County and because of this has a deep reverence for the community. She studied Child Development at Santa Rosa Junior College and Early Childhood Education at Pacific Union College earning a Bachelors of Science Degree. Renee has owned and operated early childhood education programs in the community since 1999. She is the co-owner and Director of the Child Family Community, preschool programs in Santa Rosa that operate at 3 sites and serve up to 200 families annually. She has opened 5 child care centers in Sonoma County and is currently in the process of rebuilding Mark West Community Preschool from the ground up. Renee currently is the Chair Elect of the Child Care Planning Council of Sonoma County, and a member of the Santa Rosa Junior College Child Development Department Advisory committee. She has served on numerous community non-profit boards of directors and maintains those community connections by committing to regular volunteer work. Renee is dedicated to supporting and increasing positive experiences for all children and families in our community. Sue has 15 years of experience working with non-profits and community organizations that focus on sustainable agriculture and education. She is dedicated to the mission and vision of the School Garden Network and has spent many years previously serving on its Board of Directors and developing and evaluating its programs. She has a background in farming and nutrition and is a founding and active member of the Bohemian Farmers' Collective as well as an independent contractor for small businesses. She holds a M.A. in Leadership and Humanities and a certification in Holistic Nutrition Education. Sue is raising 2 young girls and enjoys the journey of motherhood while weaving together family, farming and personal interest for a dynamic and meaningful experience. ​An educator by trade, food justice advocate by calling, and passionate by nature, Anne believes that dynamic food literacy programming will affect our health outcomes and lead to stronger, happier, and more connected communities. Anne envisions an education system that integrates whole child concepts through authentic, inquiry led, project-based learning so that our youth have the skills and opportunities to self-actualize in an increasingly hectic and yet isolating society. Anne has a BA in Environmental Studies and Politics from the University of Oregon and a “MA in Life” by serving in the Peace Corps as a permaculture volunteer in the Ngäbe-Bugle Indigenous Reservation in Panama. She cut her teeth on public education in a San Francisco Spanish immersion school before making her way back up north where she landed in Sonoma County with her family. All the while she has witnessed the deterioration of food culture and food systems in our communities and how this has contributed to a poverty of well-being. She is currently the Garden and Wellness Educator at Alexander Valley School and enthusiastically joins School Garden Network to help build upon our vision to empower youth to embrace healthy eating habits and to develop respect for and stewardship of all living things. Kaelyn is an educator, writer and gardener whose work for the last decade has been dedicated to deepening relationships between people and their place through outdoor education and farming. Her commitment to building just and regenerative food systems took root at UC Santa Cruz where she earned her BA in Environmental Justice and Political Science. Since 2011, Kaelyn has directed environmental youth programs within the non profit sector; run school garden programs in both public and charter schools; and led workshops for teachers, administrators and school garden coordinators on growing and sustaining their school garden programs. A native of Pueblo, Colorado, Lynn landed in California by way of long hot summers in the Panhandle of Texas on her grandparent’s farm. Lessons learn there paved the way for her life as an environmentalist, a mother, a winemaker, and a business owner. Earning a B.S. in Botany from UC Davis, Lynn managed the CSA at the student organic farm, went on to cataloged the flora of Rocky Mountain National Park, and was the program director at Eco-Farm for several years before moving to Sonoma County to start a family and a winery. 17 harvests, 2 girls, Tofu the dog, a winery, and countless wines later Lynn is very excited to join the School Garden Network team. When Lynn is not at the winery or organizing files, her passion is in the garden with her girls or as the Garden Coordinator at the French American Charter School in Santa Rosa. She values the lessons the garden can provide and strives to instill environmental stewardship alongside the joy of growing your own food.